Caffeine is a regular part of many mornings in the daily cup of coffee. Regular drinkers of caffeine may swear by its ability to keep them focused and energized throughout the grueling work day. Despite these benefits, there are many less pleasant caffeine side effects that consumers of this product should be aware of. The most common of these are jitteriness, insomnia and nausea. Individuals who consume too much caffeine may experience ringing in the ears, rapid heartbeat and confusion as well. The severity of side effects is often related directly to how much caffeine a person a takes and how accustomed they are to using caffeine products. In rare cases, individuals may experience a severe and dangerous reaction to caffeine. If any of the following severe side effects occur, you should contact a doctor immediately. 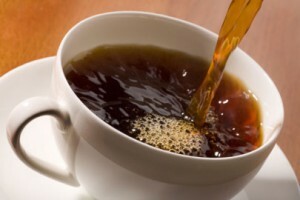 Caffeine may aggravate bipolar disorder. At least one recorded instance indicates that an individual with bipolar disorder experienced a severe episode of mania after consuming too much caffeine. Patients with bipolar disorder should be aware of the potential caffeine side effects and take care to consume only moderate amounts. Though still largely unproven, some evidence suggests that caffeine may affect the way the body uses sugar. Individuals with diabetes should take care to carefully monitor their blood sugar levels in relation to their caffeine intake to determine how it affects them. Too much caffeine can be dangerous for patients with osteoporosis. A common caffeine side effect is increased urination. This flushes calcium out of the system and can worsen osteoporosis. Individuals with this condition should limit their caffeine intake to 300 mg a day. If you are concerned about caffeine side effects in relation to one of these conditions but do not want to give up your daily consumption of caffeine, you should consult your doctor about safe amounts and forms of caffeine that will have the least impact on your health. To reduce these side effects, cut back gradually over time. Side effects in men and women can range from mildly uncomfortable to seriously disruptive. It is recommended that caffeine intake for children be limited as much as possible. Sodas and candies are unhealthy for a variety of reasons, but the hazards of too much caffeine offer one more incentive to keep them away from the younger crowd. If you experience any disturbing side effects, the best course of action is to gradually cut back and possibly even quit the cycle entirely.